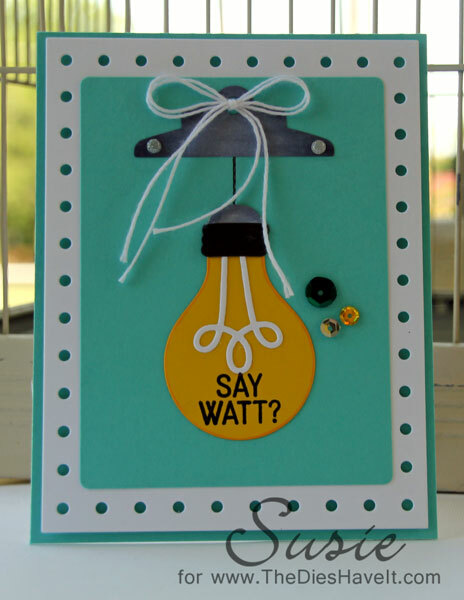 Created 4 Creativity : Say Watt? It's time for this week's Color Throwdown and WOW - have we got some great colors for you today! I am having the best time as June's Guest Designer. 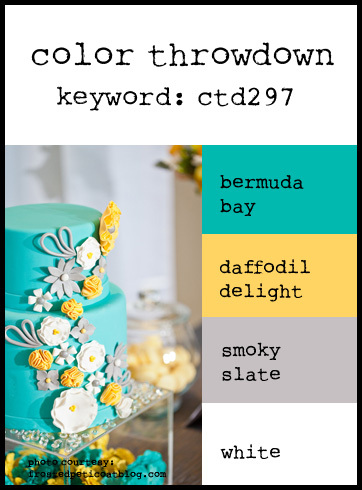 I think about color combinations all the time now! Everything I used to make my card today is from MFT Stamps and is available now. They have the most clever dies and stamps. I am especially fond of this cutey-patootie light bulb!! Very cute, Susie! Love how you used the colors this week! Super cute card Susie. Love the cool die-cuts. Wat an awesome use of the colors, Susie! This is a super fun card! Now, isn't that light bulb just the cutest ever and what a fun sentiment....love this, Susie!!! Looks like I need to do a little MFT's shopping!!! Susie, this card will certainly light up someone's life! It's just too cute! It's a cutie pattotie card too!! Glad your playing with us! !